Step aside, Pewdiepie and T-Series die-hard fans. The YouTube landscape is much broader than the ongoing tussle between the Swedish creator and Indian music record label. K-Pop (Korean Pop) sensation BTS (or Beyond the Scene in English and Bangtan Sonyeondan in Korean) took YouTube by storm over the weekend, breaking a multitude of streaming records, with the release of their new ‘Boy with Luv’ music video featuring Halsey. 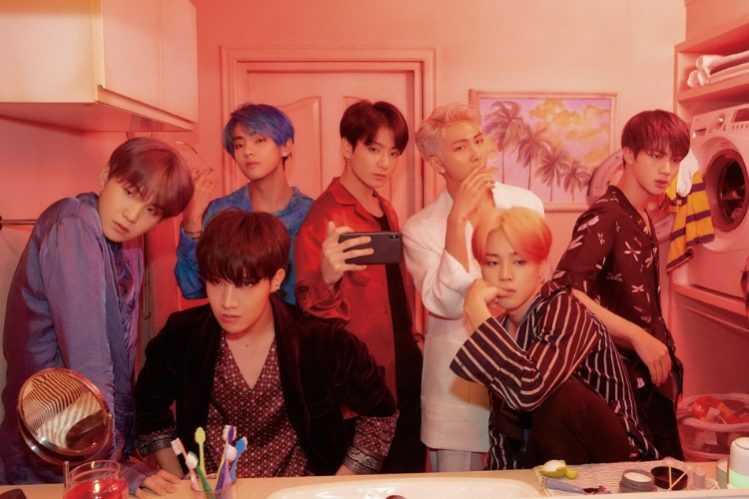 The music video for Boy with Luv, the second track on BTS’ comeback album ‘Map of the Soul: Persona” for 2019 has now become the most viewed video on YouTube in 24 hours after its debut on Friday afternoon – as per Indian time. The 24-hour YouTube streaming record, which had just recently (about a week ago) fallen into the hands of K-pop outfit BLACKPINK with 56.7 million views on their ‘Kill This Love’ music video. However, it has now been surpassed by the Bangtan boys with a massively huge margin. The record was previously held by Ariana Grande’s popular break-up track “Thank U, Next” with 55.4 million views amassed in the first 24 hours. BTS now holds the MOST-VIEWED 24-hour DEBUT streaming record on YouTube with 78 million views! YouTube Music took to its official Twitter handle on Sunday morning to confirm this mind-numbing achievement, declaring ‘Boy with Luv’ music video to have indeed become the most watched 24-hour debut. This astonishing feat has been made possible only because of BTS’ fandom, known as the ARMY, across the world. The ARMYs (including a major chunk from India, who helped the album and video release hashtags trend on Twitter) were at the forefront and made it their mission to smash not only the 24-hour streaming record, but also add a major win in the boy’s kitty. The “Buy with Luv” video is now also the fastest YouTube video to garner 100 million views, another feat achieved in just under 38 hours (1 day and 14 hours). BTS again managed to beat female K-pop group BLACKPINK, whose ‘Kill This Love’ video amounted the same number of views in two days and 14 hours (around 62 hours) earlier last week. Apart from shattering records, which also comprises surpassing over 5 billion streams on Spotify, BTS also became the first K-pop to perform at Saturday Night Live in America. As for the meaning of this song, well, BTS leader RM (short for Rap Monster) says that it comes as a follow-up to the ‘Boy in Luv’ track from 2014 and explains how the boys have grown up and what love means to them now and it’s all about the little things, you know!